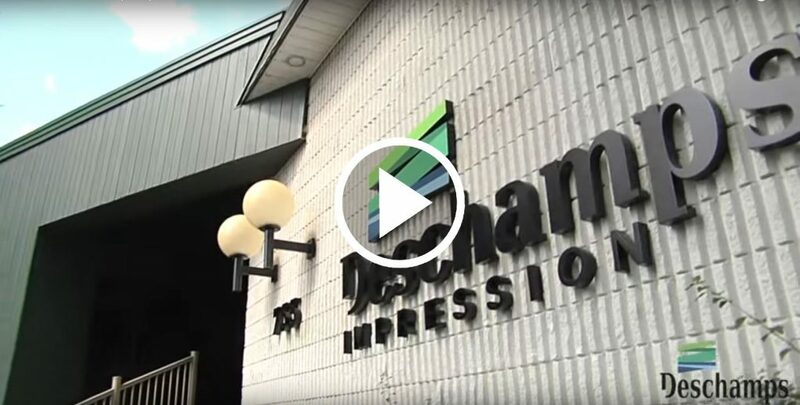 Since 1926, Deschamps Impression has honed its skills and developed a leading expertise in the printing industry. Our team of professionals have the experience, skill and passion to fulfil your needs in print communications. Experts in offset, digital and security printing, we use innovative technologies that produce highly satisfying results. Deschamps Impression offers the best solutions for your projects. Our unparalleled creativity and our commitment to quality provide you with customized tools that will exceed your expectations. Deschamps Impression is the benchmark in Quebec. Our business solutions meet the needs of companies and individuals, with the highest quality standards. In constant evolution, Deschamps Impression makes every effort in maintaining its high-performance printing equipment and developing new, efficient and fast printing techniques. Your projects are unique and important to you, which is why we use absolute precision in every job we are assigned.